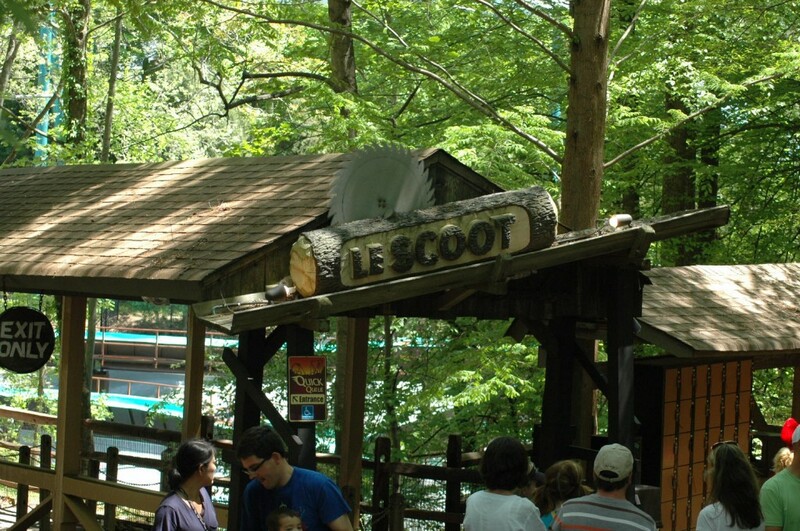 One of the most popular rides on a hot day at Busch Gardens Williamsburg is Le Scoot, located in New France. A log flume ride is a staple for any theme park. Log flumes were created to mimic the old mill rides and chute rides. 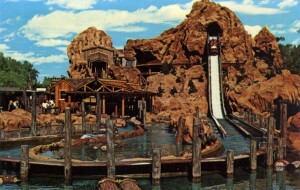 The first heavily themed flume was built at Knott’s Berry Farm in 1969, called the Timber Mountain Log Ride. When Arrow Development built their first log flume in 1963 at Six Flags Over Texas, it started a flow of flumes throughout the world. 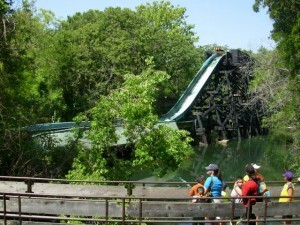 Until 1979, Arrow held the monopoly on flumes, building over 50 in 16 years, including a twin flume at Six Flags Mid-America in 1971. Arrow’s engineer, Karl Bacon, studied hydrodynamics to understand how to better use water flow that we see in modern day flumes. Since Busch Gardens Williamsburg opened in 1975, park goers have enjoyed Le Scoot, and with the recent renovations, families will get to experience the fun for years to come! There is a great book called Roller Coasters, Flumes, and Flying Saucers by Robert Reynolds that tells the story of Arrow from the beginning! I’ll have to check that out. It would be interesting to learn their story…I mean how does one become a coaster build in the first place!